The Acting Inspector General of Police in Nigeria, Mr Solomon Arase, says the ban on roadblocks remain operational, warning that any command found wanting will be punished. 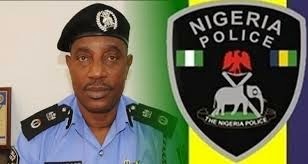 The newly appointed police boss gave the warning at a meeting with commissioners of police in Abuja on Wednesday. Mr Arase warned that the command of any jurisdiction where roadblocks are found would be held liable and swiftly dealt with in line with police rules and regulations. According to the Acting Inspector-General, roadblocks are public nuisances and points of corruption that would not be encouraged under his administration. He also warned officers who engage in corrupt practices to desist, as it would no longer be business as usual. The Acting Inspector General said he would continue on the part of the reformation of the police force to ensure that there would be improvements in the aspect of respect for human rights by officers and men of the Nigeria Police Force, better welfare packages and training for all cadre of officers and men of the police. Mr Arase was recently appointed by President Goodluck Jonathan following the sack of his Predecessor Mr Suleiman Abba.